This success and sales volume of the Model 3 in comparison to every other electric vehicle available in the US raises the question: What current or future model will be the next high-volume (“hit”) electric vehicle? This is good news for Tesla and its stakeholders, as it means less direct competition and pricing pressure. But it is bad news for the overall transition to electric vehicles in the US. As my recent analysis showed in the CleanTechnica article “New Models Drive Majority Of US Plug-In Vehicle Sales Growth, Analysis Shows,” US EV sales growth each year has generally been driven by the introduction (or lack) of a few new EV models. To have a chance of achieving mass adoption of EVs in the US, we need more than just Tesla to start selling high-volumes of EVs. We need a slew of affordable, non-luxury/performance electric models of SUVs, CUVs, small/mid-sized sedans, and even pickups — and we need them from multiple brands. A key challenge, unfortunately, is that there are very few current or future EV models that fit this description and that are likely to achieve a high volume of sales consistently in the next 5 years. ¤ “High-Volume”: Consistent average monthly sales of at least 5,000 units. This means once sales ramp up, but also takes into consideration seasonality and monthly variability — so, in essence, at least 60,000 units over a calendar year. I’m choosing 5,000 a month because, since 2011, excluding the Model 3, only one car — the Tesla Model S — has sold more than 5,000 units in a month (December 2016). Secondly, while 60,000 cars sold in a year would only put a vehicle in around the top 85 cars (out of about 300) based on 2017 sales, other vehicles at or near that level include the VW Passat, BMW 3 Series, Lexus NX, Nissan Maxima, and Dodge Challenger. I could set the bar higher, but then no EVs other than the Model 3 and likely the Tesla Model Y might make the cut. ¤ Timeframe: Now through 2023. ¤ Tesla Model S and X: Both models are likely to remain at the 20,000–30,000 unit level per year, especially with the growing availability of the Model 3 and new competitive entrants coming to market. The likelihood of either the Model S or X consistently selling more than 5,000 vehicles per month is close to zero. ¤ Chevrolet Bolt: GM has sold more than 3,000 Bolts in a month only once. While the company has promised to increase production, with the federal EV tax credit to start phasing out for GM in 2019 and growing competition from new EVs coming to market, the Bolt may not ever come close to the 5,000 per month level. And as I wrote in “12 Factors That Will Limit Chevy Bolt Sales In The US” (Part 1 here and Part 2 here), as good an EV as the Bolt is, it falls short in many ways and will likely see consistent monthly sales of no more than 2,500–3,000 units. ¤ Toyota Prius Prime: The Prius Prime PHEV is intriguing. While the plug-in version of the iconic Prius has yet to sell at least 3,000 units in a month, it has shown consistently strong sales recently and i s poised to potentially see stronger sales. 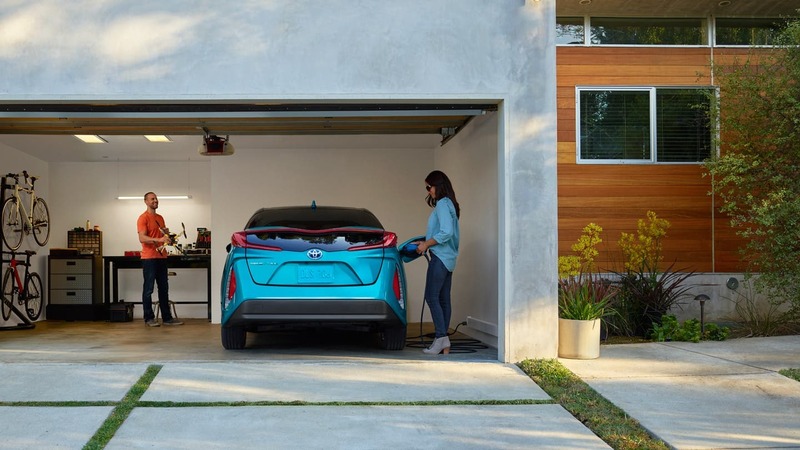 If gas prices rise and Toyota and its dealers started to push the Prime more aggressively versus the regular hybrid version, sales could potentially rise significantly and regularly be near or above 5,000 per month. In essence, the Prime PHEV could replace the volume of the regular Prius hybrid. Toyota and its dealers could make this happen. The questions are: Will they? Do they want to? ¤ Nissan LEAF: While sales of the LEAF have rebounded, it isn’t likely to reach much beyond its 1,000 to 2,000 units per month. Even with a longer-range option coming, the LEAF has too many competitors now and is being niched to death. Lastly, when the Nissan iMX arrives in the US in a few years, it will likely either replace the LEAF or steal most of its sales. ¤ Chevrolet Volt: Sales of the Volt remain strong, but the Prius Prime and other newer PHEVs like the Honda Clarity and Kia Niro are likely to cap sales for the Volt. There have been rumors that GM is going to kill the Volt, but now it seems that the Chevrolet PHEV will be reborn in a few years as a CUV. The current Volt model likely will never again sell much beyond the 1,500 to 2,000 units per month range. ¤ Honda Clarity PHEV: In the 3 month period of May–July, the Clarity PHEV version has outsold the Chevrolet Bolt by more than 1,000 units and was in a near tie with the Volt. Hondas tend to sell very well in EV-crazy California, and with various available federal, state, utility, HOV lane incentives, a 340 mile total driving range, and a $33,400 price, the PHEV has found a market competing against the Volt and Prius Prime. That said, I wouldn’t expect the Clarity to sell much more than 2,000, perhaps 2,500, units per month in the next few years. I’ve identified roughly 60 PHEVs and BEVs that are expected to be launched between now and 2023. Most of these models, however, will not sell in high volumes, as many are from luxury, performance, or niche brands. And other models, such as those from Kia, Hyundai, and Subaru have — to date, at least — not shown a propensity to sell high volumes of electrified models. ¤ Tesla Model Y: Once launched, the Model Y will likely to be the highest selling EV of all time and for many years. By the time the CUV launches, the market for EVs will be significantly bigger in the US and the Model Y could potentially sell 20,000 or more units per month in the US. Indeed, the Model Y has the potential to break into the top 10 sales rank of all vehicles sold in the US around 2023. 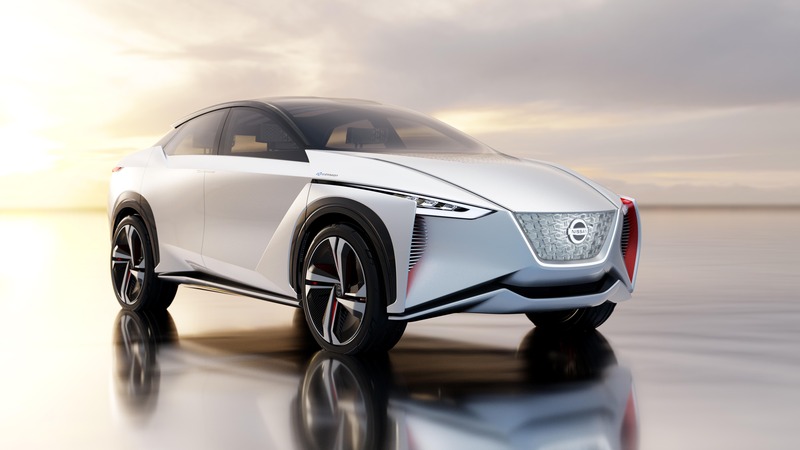 ¤ Nissan iMX: The iMX CUV is expected to arrive in the US in 2020 or 2021 and be built on the second-generation LEAF platform. Rumors suggest about 225 miles of range and an MSRP of perhaps around $38,000 (my estimate). The limiting factor, however, could be the iMX’s range/price combination. While it will be similar to the short-range Model 3, the Nissan model will lack the brand attractiveness that the Tesla Model 3 and Y have/will have. 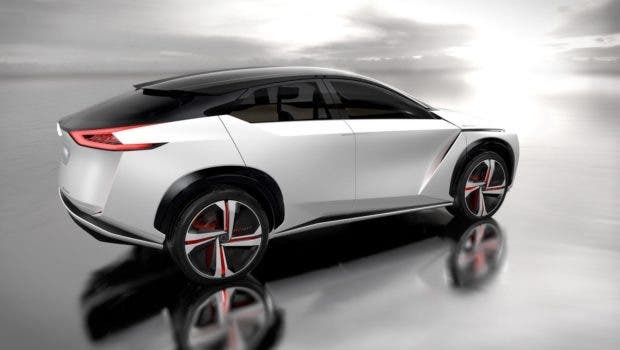 If Nissan can position the iMX as the “new Prius,” then it has a chance of surpassing the 5,000 month level. However, I think the probability of this occurring is less than 50%. ¤ Ford Escape PHEV: Rumors are that Ford will launch a PHEV version of its popular small SUV in 2019 with around 30 miles of range. If priced around $30,000 this model could sell incredibly well. In 2017, the regular Escape sold an incredible 308,000 units. A competitively priced PHEV version should be able to capture 20% of the model’s sales (by comparison, the Ford Fusion Energi PHEV is about 5% of Fusion sales). The key factors might be whether Ford produces enough of them and Ford dealers are motivated to aggressively sell them. If those two things happen, the Escape PHEV probably has a better chance than any EV on my radar (other than the Tesla Model Y) to be a high-volume selling vehicle. ¤ Volvo XC40 BEV SUV: Geely-owned Volvo is producing some gorgeous looking models these days. 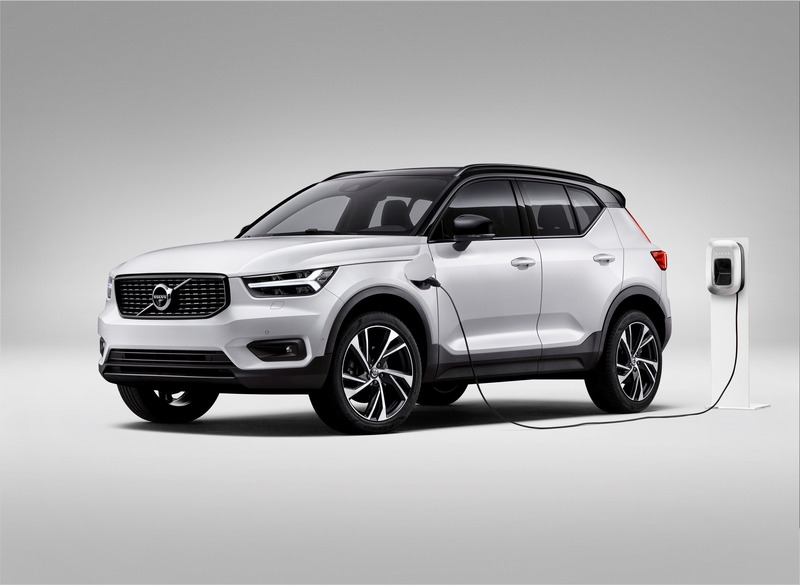 A fully electric XC40 SUV priced around or under $50,000 could sell extremely well and in essence replace the Lexus RX/NX models as the go-to mid-sized luxury SUV/CUV. It could be a leap for the Swedish brand, however, to sell more than 5,000 of these models a month. But with management going all in on electrification, it is in the realm of possibilities that dealers would aggressively push this upcoming model. ¤ Ford Mach-1 CUV: We know very little about Ford’s planned CUV that is expected around 2020, but if it achieves its promise of around 300 miles of range at a starting price of around $40,000, it should be a very strong seller. The target buyer of the Mach-1 could be buyers of models like Ford’s Edge SUV/CUV, which sold nearly 143,000 units in 2017. To sell 60,000 in a year, the Mach-1 would likely have to draw buyers from not just the Edge, but the Explorer and Escape. If the Mach-1 is priced within about $5,000 of similar Ford models, then it has a solid chance of being a big seller. If, however, it is priced at an EV premium of $8,000 to $10,000, sales will likely be modest. Various Luxury/Performance Models: I don’t expect any of the luxury/performance models — such as the Jaguar i-PACE, Audi eTron Quattro, Mercedes-Benz EQC and EQA, BMW i4, Volkswagen I.D. CROZZ, Porsche Taycan, Audi Q8, Lucid Motors Lucid Air and others — to reach the 5,000 unit per month sales level. All of these models and others are expected to have MSRPs in the $50,000 to $90,000 range, which should limit their potential sales volume. (Yes, I know the ASP of the Model 3 is above $50,000, but it is a special case.) While some, like the Mercedes EQA and BMW i4, could sell very well, it is unlikely volume will consistently be above 5,000 units per month. Kia Niro BEV: The BEV version of the Kia Niro is expected in the US in late 2018, and to have a range of 238 miles and be priced at around $30,000. That is a potentially strong combination for good sales. But my earlier analysis on price differential between ICE and EV versions of the same model suggests that the US buyers of brands like Kia and Hyundai are not gravitating toward EVs. I expect the Niro BEV to cap out around 1,500–2,000 units per month. Volkswagen I.D. : The upcoming Golf-like VW I.D. is expected to reach the US market sometime in 2020, have a range of about 250 miles, use a battery pack of 60 kWh, and be priced somewhere around $30,000. If those specifications hold close to being true, the I.D. (final name may change) could sell well. The e-Golf BEV has been a poor seller in the US, however, likely due primarily to its 125 miles of range and the model being a compliance car, and the regular Golf only sold 69,000 units in 2017 in the US. With its hatchback body style, which is declining in popularity in the US, I believe the I.D. could sell in the 2,500–4,000 unit per month range but isn’t likely to consistently surpass the 5,000 level. Tesla Model P: It is unclear when Tesla’s Model P (or whatever it will be named) pickup will reach the market, but it probably won’t be until around 2023 or later (or at least with solid production levels), so it may not meet my 2023 timeframe. I do expect the Model P to be a really strong seller, but its price point could be well above other pickups. When combined with its “green” image, it may not connect with a lot of the traditional core pickup buyers. So, what do you think? Which models do you agree or disagree with in my assessment, and which current or future planned EVs do you think I may have missed that could reach the 5,000 or more level of sales each month?